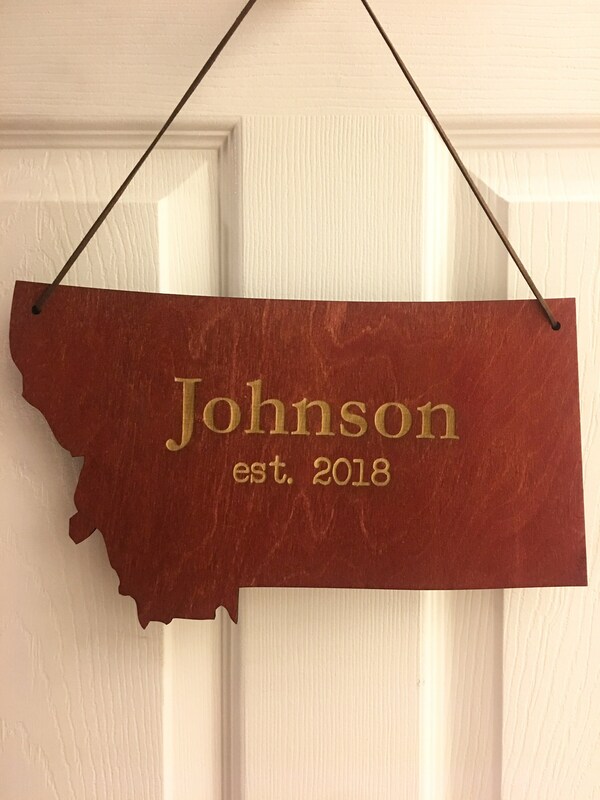 Family Name State Shape Sign - Choose your state and stain color as well as if you would like holes cut out to hang your sign. 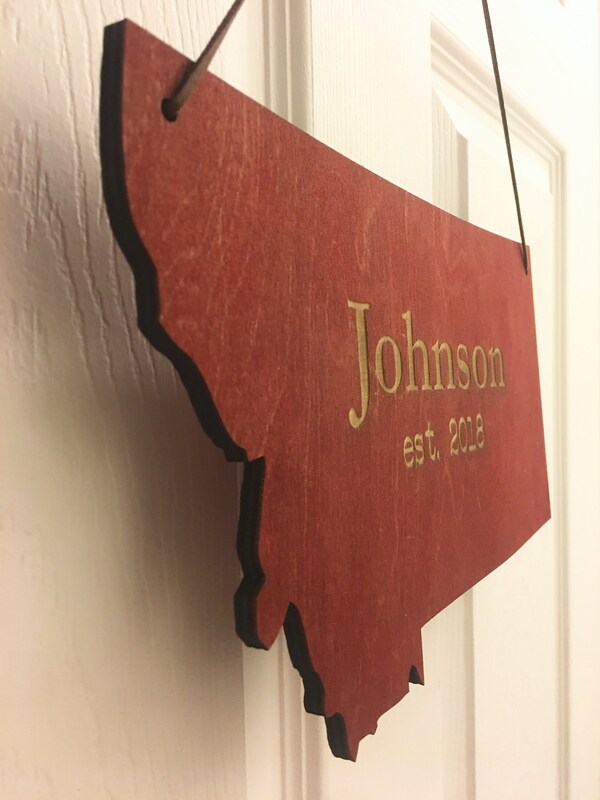 Frame them, lean them, or hang them and represent your state! 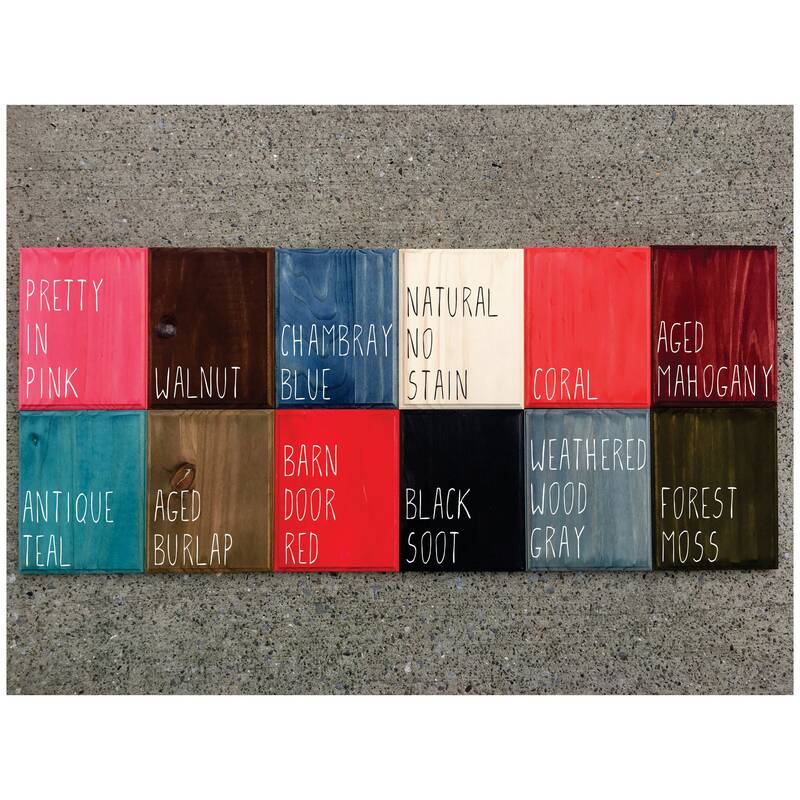 They also make a great gift. * Choose if you would like two holes on the top of each side for hanging. 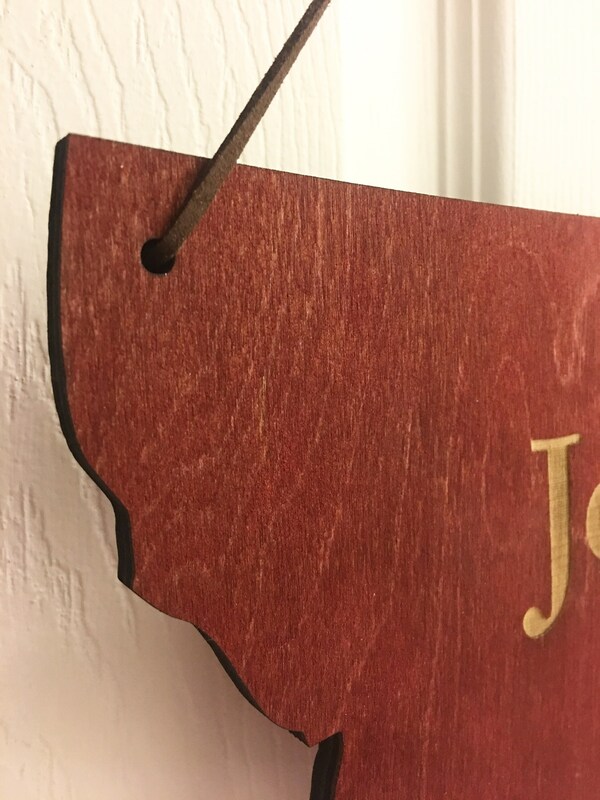 Includes brown faux suede string so it comes ready to hang. 5) In notes at checkout indicate the name and year you would like. If you do not want est. and just a name, indicate that detail. 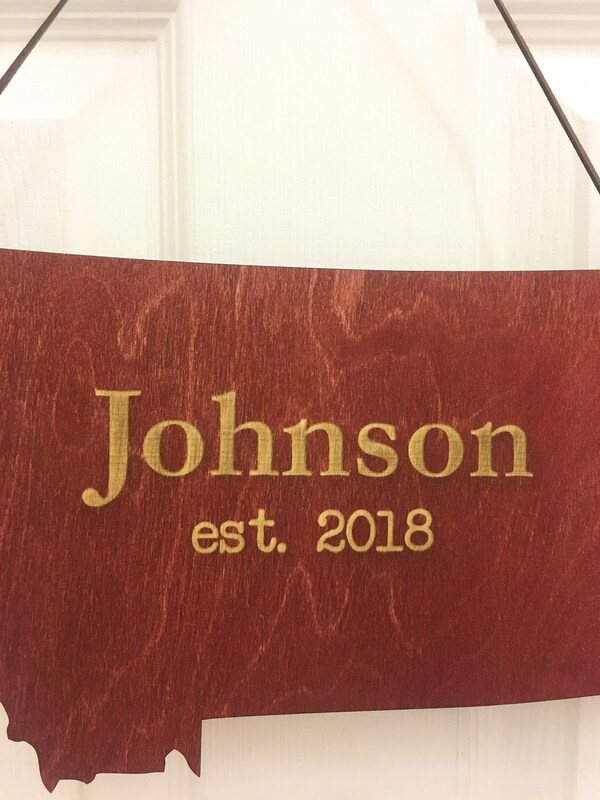 This is a rustic style wood sign and due to the nature of wood, the markings, knots and rustic characteristics will vary and may result in lighter and darker areas in the engraving. 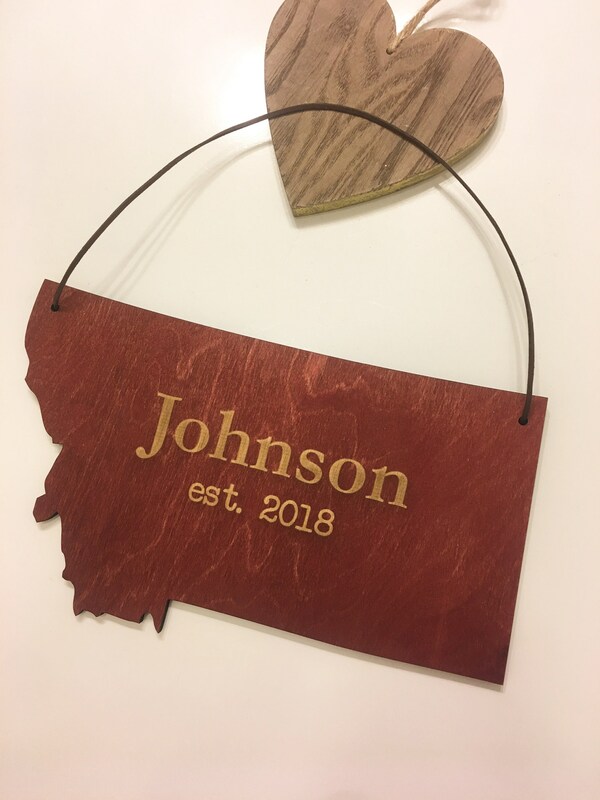 Just like you, handmade items are unique and special in a way that is all their own. 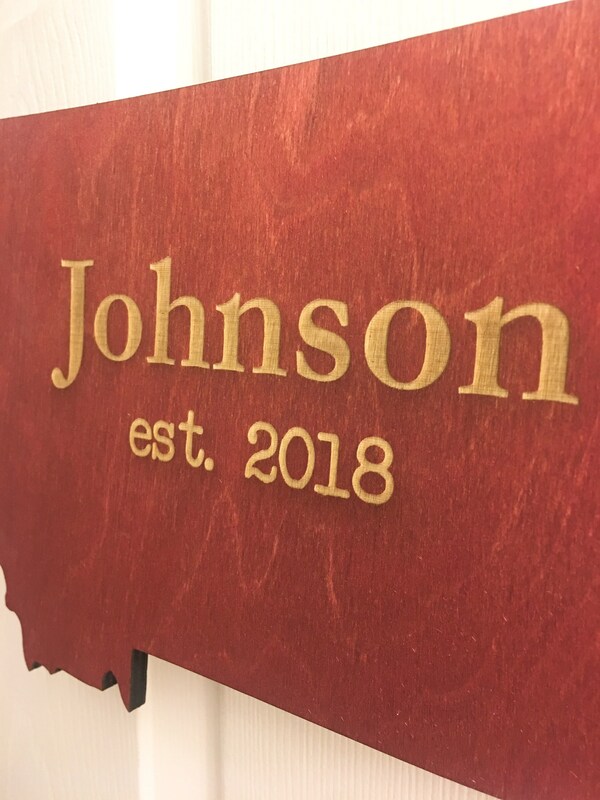 Your sign will be laser cut and engraved exactly as photographed with your custom name, date with the state and stain of your choice and holes cut out if you make that selection. ► If you need your order sooner then the usual 3/4 week turn around time, indicate the need by date in notes at checkout.